A damaging European defeat at Tottenham for Manchester City has extended Pep Guardiola’s poor recent away record in the Champions League. The Lilywhites earned a 1-0 win at their brand new luxury home stadium on Tuesday night against the Premier League champions, in the first leg of a quarter-final European Cup showdown. Son Heung-Min grabbed the only goal of the game in the 78th minute, while Sergio Aguero missed City’s best opportunity from the penalty spot early in the first half. Guardiola’s men are now at risk of exiting the competition at the last eight stage against English opposition for the second year in a row, having been humbled by Liverpool last season. One damning statistic highlights that the Spanish boss has suffered a miserable away slump in the Champions League since the turn of the decade, with his last quarter-final or semi-final away leg win coming way back in 2011. Pep Guardiola’s last win in a CL quarter-final or semi-final away leg was in 2011, when Phil Foden was at junior school. In fact, Guardiola has only managed to mastermind three away knockout wins in total from his last 15 in Europe, having previously managed Barcelona and Bayern Munich. The 48-year-old had no luck at the Allianz Arena with Germany’s biggest club and he is now in danger of a similar record at City unless his side can stage a comeback and rectify the situation in the semi-finals. The English champions are still chasing an unprecedented quadruple this season, which in itself is quite the achievement with less than two months of the campaign remaining. 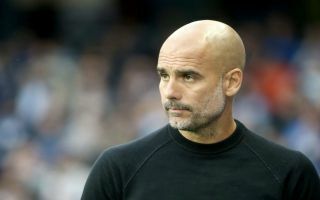 However, Guardiola’s time at the Etihad Stadium is unlikely to be judged on his domestic success alone and if European glory ultimately eludes him for another year, questions will be asked over his ability to take the club forward. The former Barca manager won both his Champions League crowns at the Camp Nou, with Lionel Messi spearheading a team of superstars which has a place in history cemented. Since leaving the club he has been unable to crack the code in Europe again and his legacy will continue to sustain damage if he can’t buck that trend at City or anywhere else in the near future.